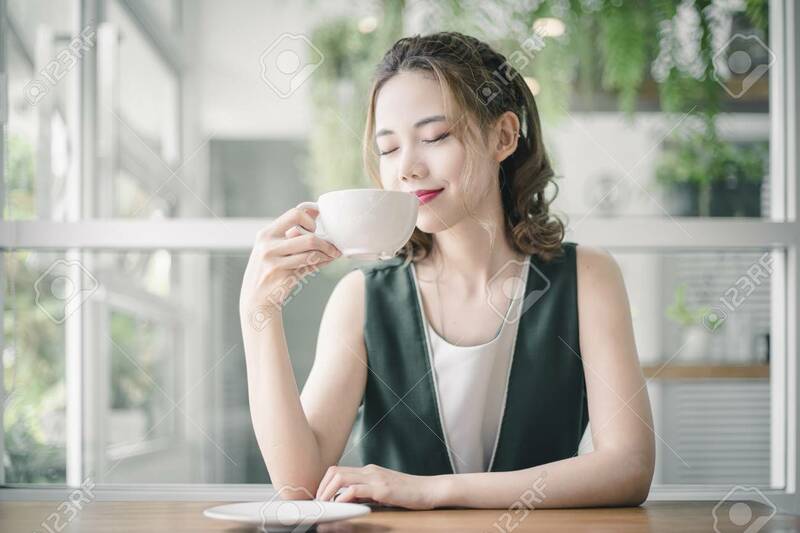 Portrait Of Asian Woman Smiling In Coffee Shop Cafe. Beautiful Girl With Coffee Cup In The Morning. Royalty Free Fotografie A Reklamní Fotografie. Image 107324010.